Add another candle to the cake — the Royal Park Hotel is turning 30, and it’s celebrating by putting together “Thank You Lunch & Dinner” courses at four of its restaurants. All courses run for the same discount prices (¥3,900 for lunches, ¥30,000 for dinners) and are available through June 30. Lunch at first-floor Chef’s Dining Symphony features the Princess Plate — a “kids’ meal for adults” comprising six playful dishes that are sure to bring back nostalgic memories of childhood. Basement-floor Chinese restaurant Kei-ka-en is serving up a course lunch of popular items including māpō dōfu (spicy tofu and ground meat), salmon fried rice and more, as well as a craft-your-own-dinner option with main presentations of simmered shark fin and Peking duck. 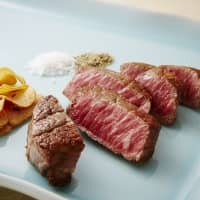 Meanwhile, both fifth-floor Japanese restaurant Genjikoh and 20th-floor teppanyaki (flat-iron grill) Sumida have prepared lunch and dinner courses representing the height of modern Japanese cuisine, incorporating fresh seasonal ingredients and rare delicacies such as Kyushu wagyu beef. Keeping with the theme of 30-year celebrations, the hotel has also prepared 100 bottles of 1989 vintage red wine from noted Spanish winery San Isidro. They’re available at the hotel for ¥15,000 a bottle while supplies last. The Royal Park Hotel is connected to Suitengumae Station. For more information, visit www.rph.co.jp or call 03-3667-1111. Hokkaido is taking an extended vacation down south — and it’s bringing all of its delicious food with it. From now through June 30, the ANA InterContinental Tokyo is proudly hosting the Hokkaido Dinner Buffet, a long-running culinary series featuring the best of the best from the prefecture. The buffet is served at Cascade Cafe on the hotel’s second floor from 6 to 9:30 p.m. and is ¥6,300 for adults with reduced prices for children and seniors (hours and prices vary on weekends and holidays). 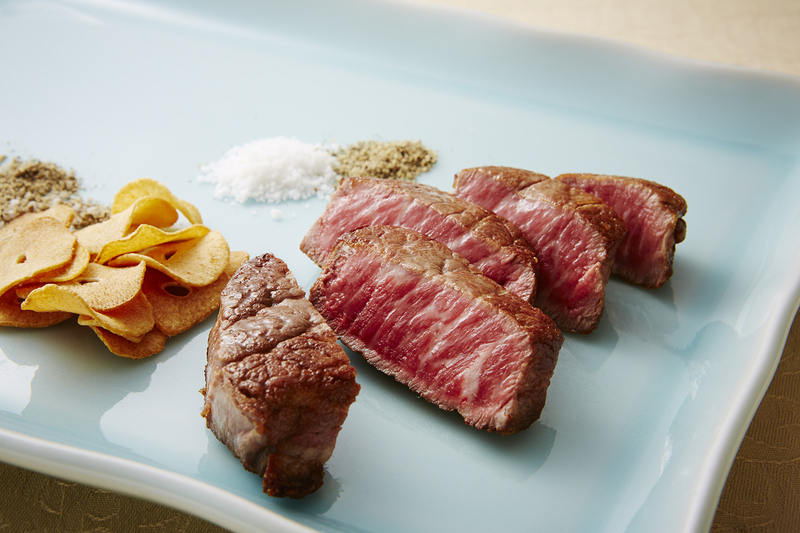 As the first of three total installments, the current chapter runs until March 19 and features a mix of seasonal cuisine and classic comfort food from central Hokkaido, which encompasses the cities of Sapporo, Ishikari, Otaru and Muroran. 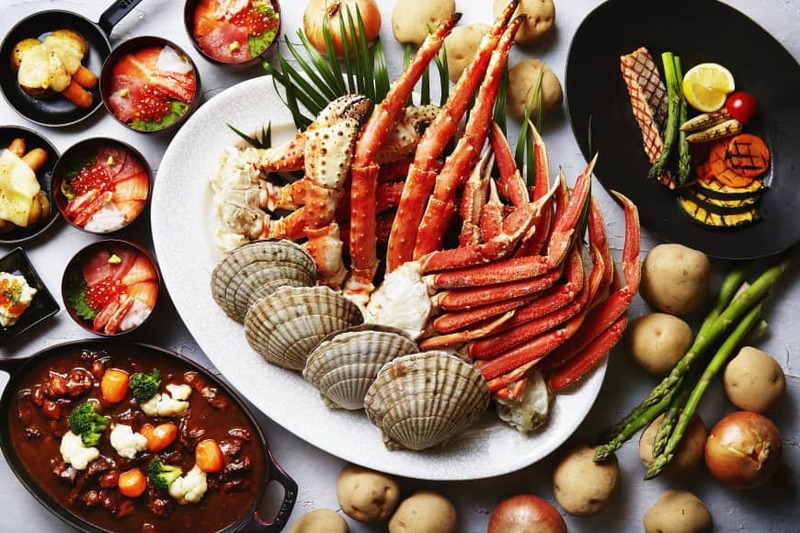 Items include steamed snow crab and blue king crab, make-your-own seafood rice bowls, sauteed pacific cod, home-style Ishikari hotpot, Sapporo miso ramen, soup curry and dozens of other mouthwatering dishes. And for those who’ve got a sweet tooth to satisfy, there is also a dessert corner boasting soft serve ice cream, pudding, cheesecake and other sweets made with ingredients from Hokkaido’s well-known dairy farms. The ANA InterContinental Tokyo is five minutes from Tameike-Sanno Station. For more information, visit anaintercontinental-tokyo.jp or call 03-3505-1111. Nothing says “spring in Japan” quite like sakura cherry blossoms. And there is no better way to enjoy the relaxing floral views than with some flavorful tea and delicious bites. 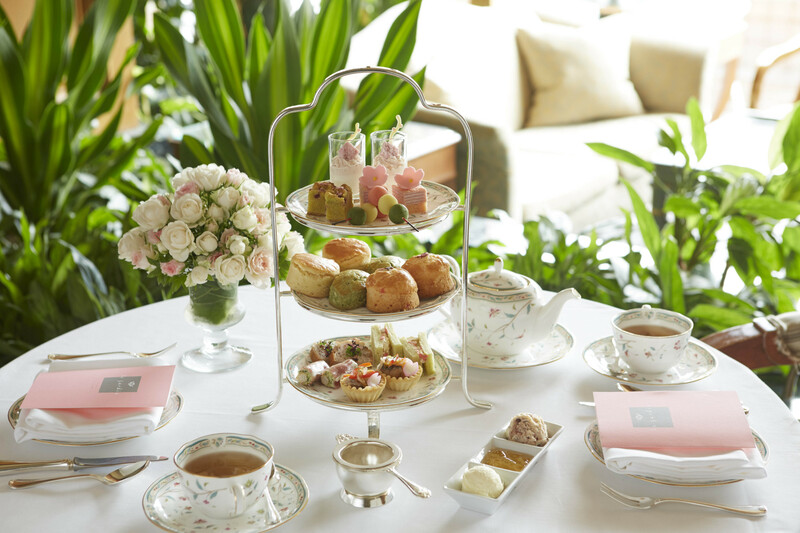 This spring season, Hotel Chinzanso Tokyo invites guests to drop by for its Sakura Afternoon Tea set, to be served from Feb. 15 to April 7. Priced at ¥3,800, the Sakura Afternoon Tea set is available at the hotel’s third-floor lobby lounge Le Jardin from 12 p.m. to 6 p.m. (weekday hours until March 30 begin at 2:30 p.m.). The set features a variety of delectable creations both sweet and savory, including a sakura-scented strawberry crepe cake, sakura scones, escabeche (marinated and cooked in vinegar) of Spanish mackerel and petit sandwiches filled with bamboo shoots and sakura shrimp. In addition to appreciating the live tree displays both in the restaurants and throughout the establishment, guests are encouraged to stroll through the hotel’s inner garden, which boasts roughly 120 sakura trees spanning 20 varieties. Some — like the kawazu-zakura — bloom in early February, while others — such as the yoko-zakura — reach their full elegance toward April, guaranteeing that guests will have a picturesque experience no matter when they come for tea..